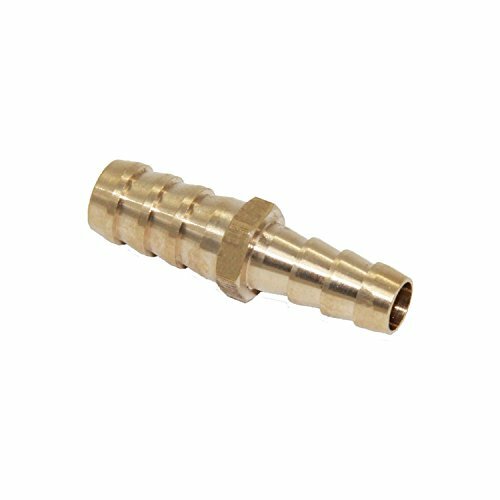 This Joyway Series hose fitting is made of forged brass and connects and branches three hoses. This fitting has barbed ends to create a tight seal on a hose when used with a hose clamp or crimp sleeve or ferrule (not included). It is made of forged brass for greater strength than cast brass. Hose fittings connect, control, change the direction of, and terminate the flow in piping and hose systems. They are made of brass, stainless steel, galvanized steel, and other materials that resist corrosion, pressure, and wear. Hose fittings have various types of connections, including threaded, barbed, push-to-connect, dry disconnect, and others including those based on internationally-accepted specifications. Hose fittings are used in systems such as air compressors, automatic manufacturing operations, aircraft controls, and tire installation in industries including agriculture, mining, road construction, firefighting, and aviation. If you have any questions about this product by Joyway, contact us by completing and submitting the form below. If you are looking for a specif part number, please include it with your message.